AS contests go, being named The Ugliest Creature on Earth feels like the sort of title that nobody is trying particularly hard to win. 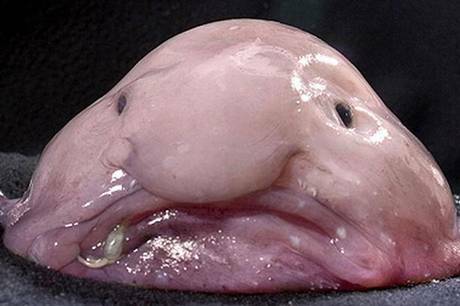 But then again, if you're a blobfish, what else have you got to occupy your mind while splashing around in the sea all summer? While kittens, ducklings and pandas regularly steal the limelight as the animal kingdom's cover stars, the likes of the humble pubic louse, flightless dung beetle and European eel hardly stand a chance. That won't be the case much longer, however. Thanks to the good people behind the Ugly Animal Preservation Society, the first ever campaign to find the ugliest creature on earth is well and truly under way. And what a glorious gathering of hideousness the competitors are. official mascot to front their campaign. The rules are very simple; the animal voted the ugliest wins. A number of celebrities have already back the campaign, including Stephen Fry, who tipped the greater short-horned lizard for the prize. After voters have selected the winner of the prize, biologist Simon Watt will formally declare it the winner at the British Science Festival next month. The long term aim of the project is to encourage young people to look beyond the poster boys and girls of animal conservation - the pandas and red squirrels of this world- and realise there are a large number of less-cuddly critters in desperate need of help. Unveiling the contest, Simon Watt said: "For too long the cute and fluffy animals have taken the limelight, and now hundreds of species are tragically extinct because they were painfully ugly." He added: "You can help these mingers by choosing one animal to stand-up for all the other uglies in the animal kingdom."